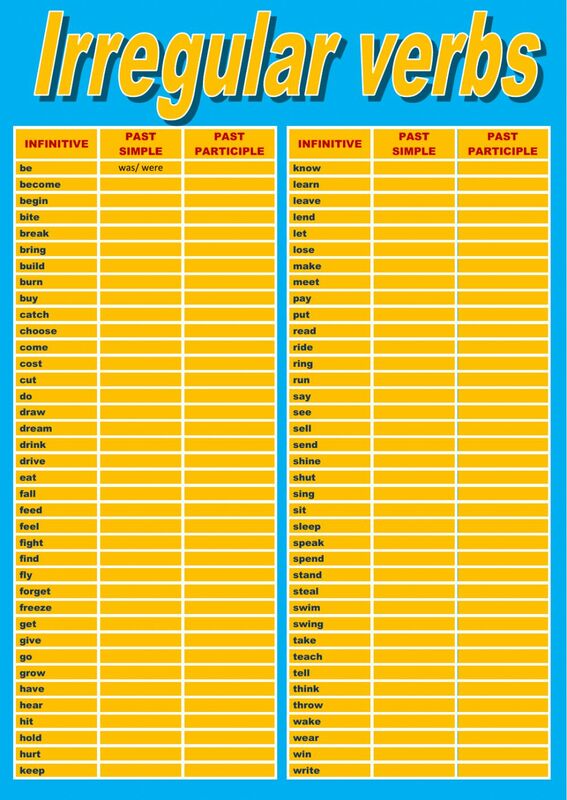 Irregular verbs list. Students have to write the past simple and past participle of these verbs. I have just tried to do the test by myself before sending to my students but my answers SIT SAT SAT and WAKE WOKE WOKEN were marked as mistakes. I insist on them being correct. O-oh, English basics, a must for everybody...:) Thank you for this neat worksheet! Dear Victor, I am volunteer in Brazil, I'm not a teacher, but I've been studied as an English self-taught, and, thank you so much for sharing the free worksheets, I develep a project teaching for free for students in low income and this rich material has been helped me a lot in order to improve the student's English level. Keep up doing an excellent job. Carlos from Brazil.